You’re on the road, Google Maps is guiding your way, and you realize you need to stop for gas or you need to make a coffee or bathroom stop. With Google Maps you don’t have to cancel your navigation, but rather just add a pit stop in the middle of your trip. Needless to say, if you’re going to do this, you’ll either want a passenger to search Google Maps for your new stop, or you’ll want to pull over before looking at your phone. 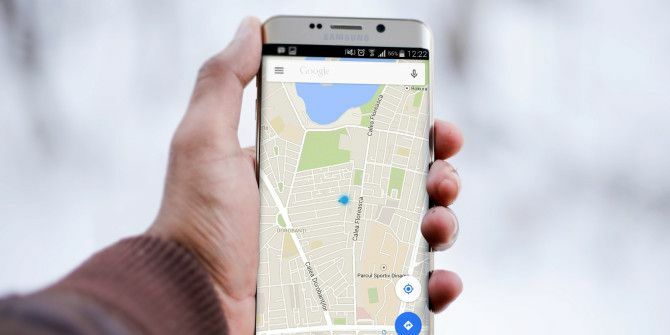 When you’re in the middle of navigation on Google Maps, you should see a large search button in the top right corner of the screen. Tapping the button will pull up a list of options: gas stations, restaurants, grocery stores, and coffee shops. If you know exactly which gas station or coffee shop you want to find you can do a general search. Google Maps will pull up all the options available on the map. Each listing will also include how long it will take to get there, if it’s along the way or if it will require a detour, as well as the rating of the location. Tap on the destination of your choice and you can add the stop. Google Maps will update with the new stop, accounting for how much time will be added to your trip with the new stop. To see it in action, check out the video below. What tips and tricks do you use with Google Maps? Let us know in the comments. Host Your Website for Cheap With Hostinger’s Huge SalePSA: Subscriptions Cost More When Bought on an iPhone! Whilst Google Maps is a great app, I find it really quite odd that when one has set a destination, it gives NO INDICATION of your set destination!! Would it not be a great idea to have your 'next destination' shown, along with the pointer (arrow), or at minimum to be shown at the top of one's screen?? One really SIGNIFICANT thing I find missing with Google Maps... Once having set the route, Google Maps guides you to the route BUT it shows NO INDICATION of where you're heading!! It would be VERY beneficial for the next destination to be shown!